Significance of Circuit Breaker "First Trip Time"
A circuit breaker may not be called upon to operate and clear a fault for years, but when a fault occurs, it is expected to operate within it's published time-current characteristics. Unfortunately, frequently this does not happen... environmental contaminants, hardened grease, vibration and other factors can adversely affect the operating time of the circuit breaker. Because of these factors, it's not unusual for the operating time of a circuit breaker's first opening to significantly exceed the manufacturer's specified operating time unless it has been properly maintained. However, the problem(s) which cause a circuit breaker to trip slowly are frequently cleared during the first operation of the breaker, thus the cause can't be detected in subsequent testing. This issue most commonly occurs in circuit breakers that have been in the field for 5 or more years without being operated. The act of operating the breaker will loosen hardened grease, exercise springs and other mechanisms and assemblies so that when the breaker is tested, the test will not represent a true "as-found" opening time. An arc flash analysis assumes that the overcurrent protective device (eg a circuit breaker) will clear the fault within the manufacture's published time-current characteristics. A failed circuit breaker, or even a slowly operating one, will result in higher incident energies requiring larger boundary's than specified or a higher level of PPE than called for on placards. 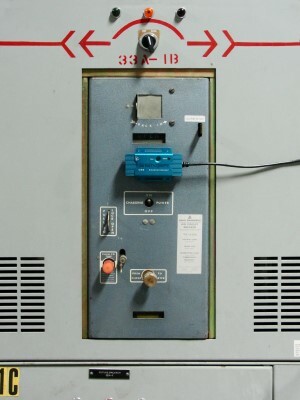 Traditional maintenance testing of circuit breakers requires the breaker to be opened and removed from the enclosure prior to conducting trip testing, thus when a test is conducted it will not a true "first trip" operating time. First trip testing methods can provide a real-life operating time which can be compared to the assumed opening times used in an arc flash analysis. It's not unusual for the first trip time of a breaker with 5-10 years of inactivity to be 200-300 milliseconds. After the first trip, it will typically be only 30-50 milliseconds. If the first trip time of your breaker isn't less than 60 milliseconds, you're not properly protected from faults. 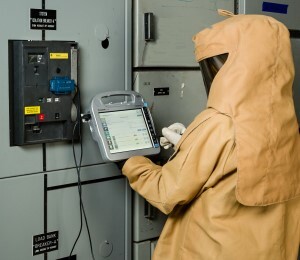 Note that arc flash studies are based on the energy let through during an event. Time is proportional to energy; and therefore operating at rated speed is critical for calculations and protective schemes to be correct. Thus the only way to validate an arc flash study is to perform first trip testing; and utilizing the CBAnalyzer circuit breaker test system makes it very easy to obtain first trip data for your circuit breakers. Simply mount the accelerometer to the front panel of the breaker and follow the CBAnalyzer software program's on-screen step-by-step procedure. Want to discuss your application? Have questions? Need a demonstration? Please contact us for immediate assistance. 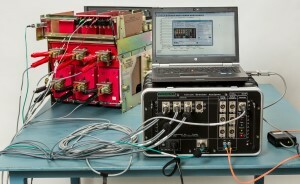 And don't forget to check our circuit breaker analyzer FAQ. travel analysis to determine first trip time. switching and no electrical connections are required.